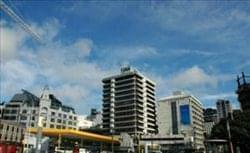 Find My Workspace lists over 95% of the serviced offices market in Wellington. Simply click Request Quote to check pricing for one office, or Add to Basket for multiple offices. A 16-storey office building constructed in 1977. 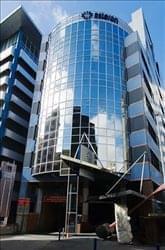 The building provides for 12 office levels of office accommodation, two parking levels, one storage level, ground floor retail and two lower basement levels. Services by four 13-person lifts, VAV units serve tower floors. Building is sprinklered and has back-up generator. A character four-level building constructed in 1930s with commercial and residential tenants. Retail on ground floor, four large apartments on upper levels and character office/industrial space at the rear. 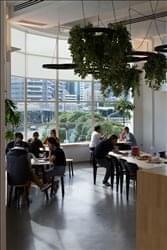 The office space is open plan space that would suit a start-up or smaller operation looking for ”funky” space that is reasonably priced on the City fringe. 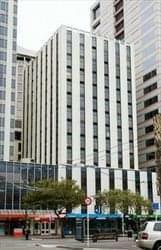 This modern 14-storey office tower has high quality office space available for immediate occupation. With three large podium floors and nine tower floors, the building provides excellent views over the courts, park and harbour. The building entrance area is designed with a light and airy feel with three 10-person capacity lifts servicing the building. Unfurnished office suites are available from 150 sq m on flexible terms. This modern 14-level office tower was built in 1980. Current tenants include the government and a number of corporate companies. There are also retail tenants on the ground floor. 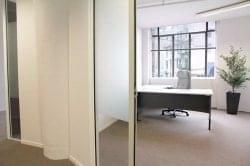 Unfurnished office suites are available from 80 to 150 sq m on flexible terms from three months. This thoughtfully designed space has been created with you in mind. Get your morning meetings out of the way in the social zone with the use of our professional coffee machine thanks to the rad guys at Flight Coffee, then retreat to a quiet zone in the afternoon to hone your productivity. Whether you like to sit, stand or stretch out to get your best work done, this space has your back (or bum), with a range of furniture and seating options. The community housed in this space is packed with talented, curious and collaboratively minded people growing great ideas and businesses. From bigger businesses to startups, one man bands and freelancers. As operators of the Collider Wgtn programme, this space is where you go to connect and collaborate with other smart Wellingtonians, driving innovation in the capital. Hosting a wide range of events, workshops, learning sessions and guest speakers to help you grow your ideas and capability. 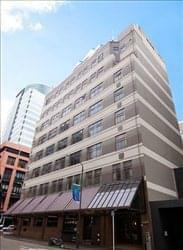 A high quality office building to suit professional organisations keen on a good profile building in a central city location. Offering 8 levels of offices and 15 levels of car parking. Extensive refurbishment to lobby, bathrooms, lift cars and office space with new ceilings and carpet. The building has an A-grade seismic rating and on-site bicycle & shower facilities. 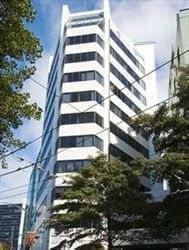 This distinctive 13-storey modern office tower has a variety of unfurnished offices available from 100 sq m upwards on flexible terms from 6 months. The offices are of a high quality and are available individually or as multiples. They are mainly open plan in layout. This building more so known for hosting the beatles in 1964, was seconded for use as a base by American marines during World War II. 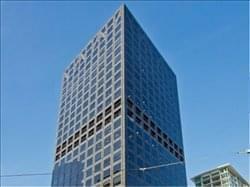 These office’s have re-opened in 2011 with a great outlook in the reception and office level. Long Term Accommodation is situated on higher levels of the building. 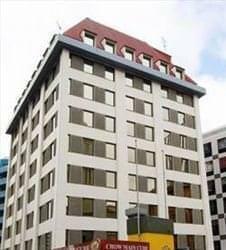 An inviting work space in Willis Street, in the heart of Wellington’s financial precinct, offering private office suites, coworking spaces and meeting rooms. Warm wooden floors, wide windows, that go from floor-to-ceiling, filling this contemporary space with natural light, and calming décor all help to provoke discussion and inspire ideas in this premier skyscraper. There’s no pressure to plan your business for the future as you have the capacity to start small and gain more desk space as you take on new staff. Customisable spaces, tailored for your business needs with admin support, business-grade technology and world class facilities. To obtain information for your selected Wellington Serviced Offices, please tick the "Add to basket" box for each office you prefer and complete the form below. We will then send a detailed report via email.